Well hello! 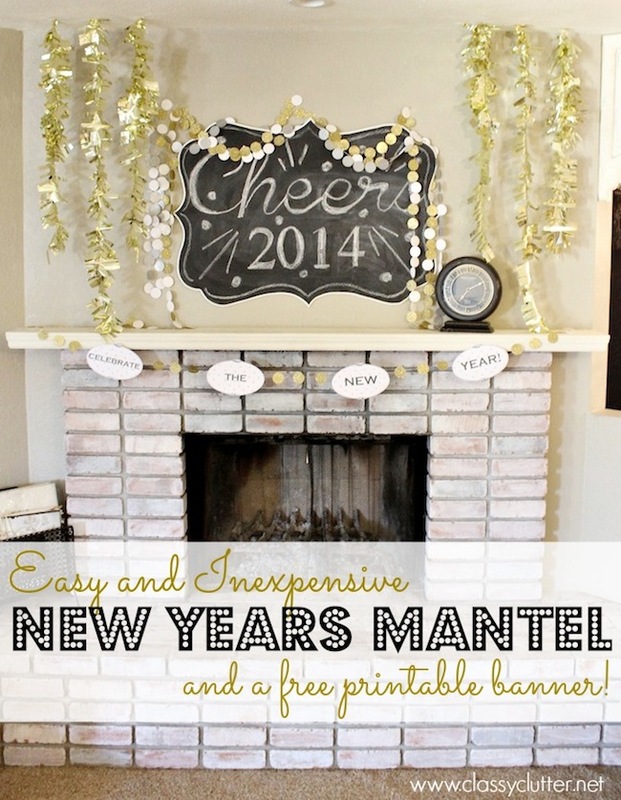 We are Mallory and Savannah from Classy Clutter and we are so excited to share this New Years Mantel and a FREE printable garland with you today! New years comes and goes so quickly so its easy to overlook putting out decor for such a short holiday time! 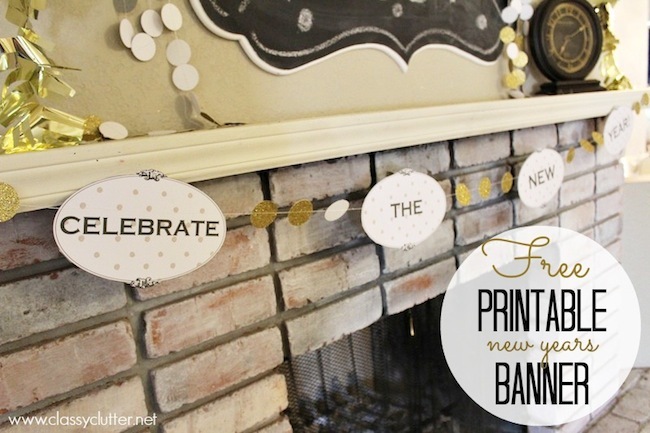 This easy and inexpensive decor will for sure make you want to decorate for New Years! Next, garlands! We used three different types of garlands on this display. Layering multiple garlands gives the illusion of layers and makes it look super jazzy which is exactly what you want for new years! 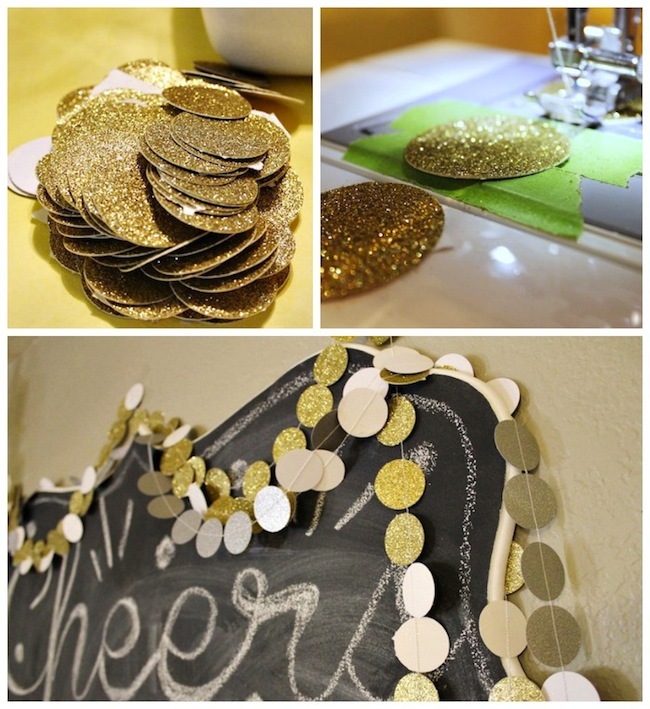 For the glitter dots garland, you will cut out 1 1/2 – 2″ dots. Find a paper you love and get to work! You can do this free hand, with a circle cutter, a circle punch or a craft cutter like a Silhouette machine. We used 3-4 sheets of gold glitter paper and a Silhouette machine. Next, simply sew the dots in a line. That’s it. Told you, so easy! Next, we used metallic tissue paper and made the fringe garland. It’s super easy to make if you’ve never done it before. 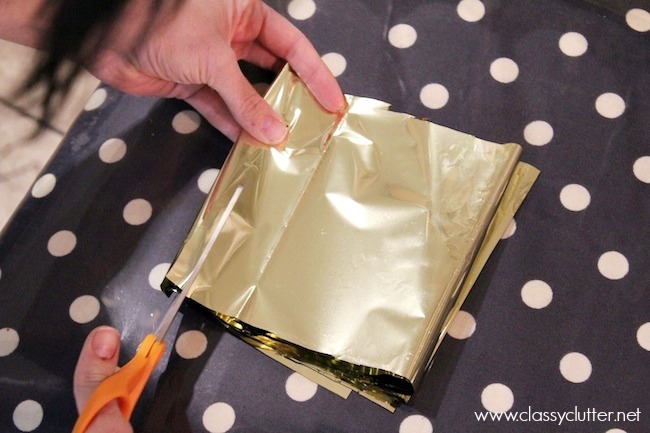 You take your tissue paper and fold it as wide as you want your garland to be. We folded it and cut 3″ fringe on each side of the folded paper leaving about a half inch section in the middle. Unfold and tape it to the ceiling. You may need to tape two together to make a really long one. Twirl a bit for a spiral effect. So fun! 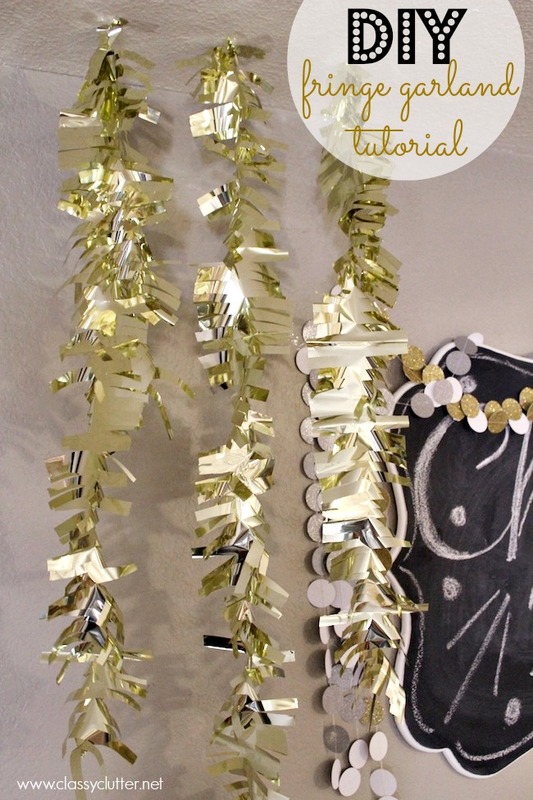 Next up is our free printable new years garland. Simply print it out and string it with thread or ribbon. We sewed more glitter dots in between each word. Download the free printable new years banner here. 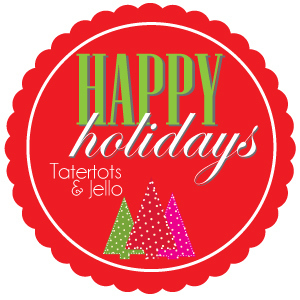 Christmas Eve is in one week!!! Can you believe it?! 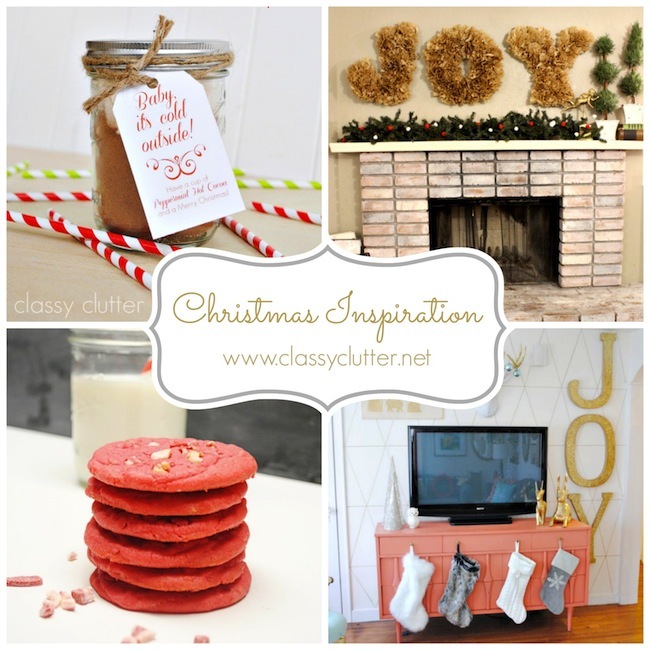 If you’re still looking for some Christmas inspiration, gift ideas or yummy treats, head over and check out our blog, Classy Clutter! We’d love for you to pop over and say hi! 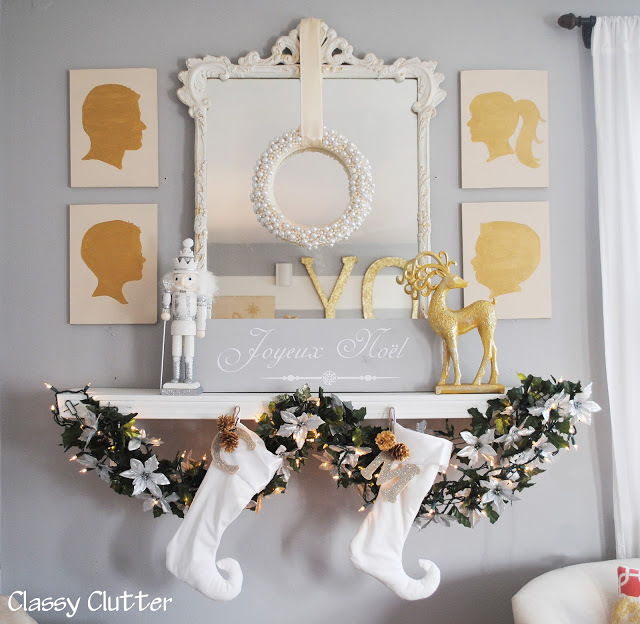 This mantel from last Christmas was just gorgeous! I especially loved the DIY Painted Family Silhouette Tutorial they shared! 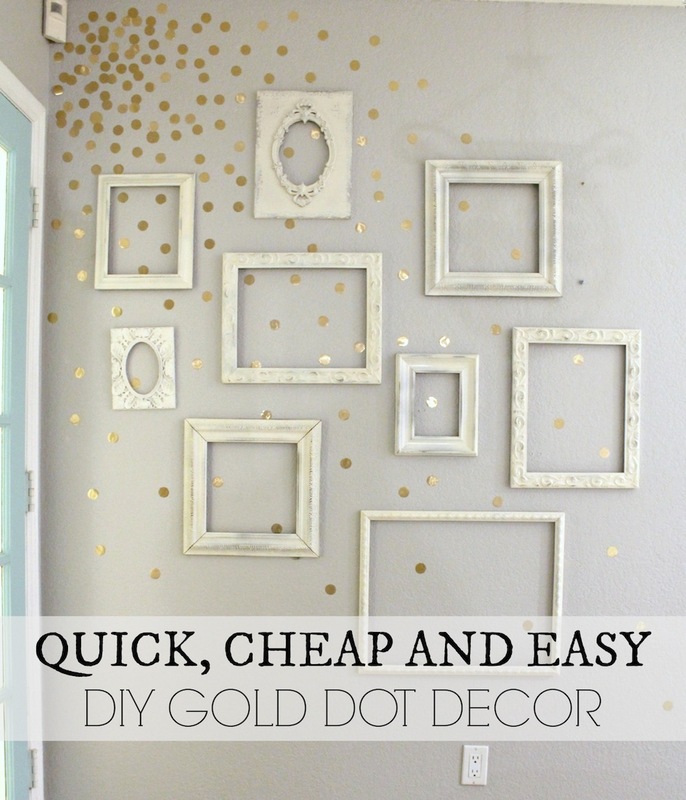 And, I love this idea for a quick way to spruce up any wall with a little Quick, Cheap, and Easy DIY Gold Dot Decor. erin @ house envy recently posted…The elephant in the room. This is such a cute idea. I love the printable garland too!! Thanks for sharing it with us! !